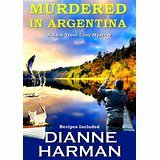 It has been a light and heavy week with "Murdered in Argentina" by Dianne Harman. The heavy part was the murder of Ray, a CEO, who loved Fly fishing. The light and fun part was the armchair visit to Argentina. I didn't know anything about Argentina. Now I know there is a high production of my favorite sweet, chocolate. There is also a high production of leather. I have to mention the foods which made me feel hungry for a bit of beef or tomatoes. I felt happy to see the recipes at the end of the novella. Oh, the Fly fishing was fun too. I thought of the movie titled A River Runs Through It." I have fallen in love with Dianne Harman's mysteries because they are simply written. There isn't a lot of folderol. At times she might slide into too much detail.However, this doesn't happen often. I really liked the fact that the solution in this one makes perfect sense. I shocked myself by solving bits of it before the end of all the drama. Colson Whitehead's The Underground Railroad has led to a desire to widen my net of genres. I haven't read Alternative Histories often. 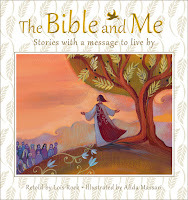 In this one, I felt deeply hurt not to read Harriet Tubman's name within the pages. However, I kept in mind that this is an invented history. A uniquely designed history is one where the author has the option to fictionalize the past as much as he or she may desire. I understand that point well. Therefore if I have a deep desire to read more research about Harriet Tubman I must choose another genre rather than an Alternative History.